I decided to add an RC plane to my flying collection. 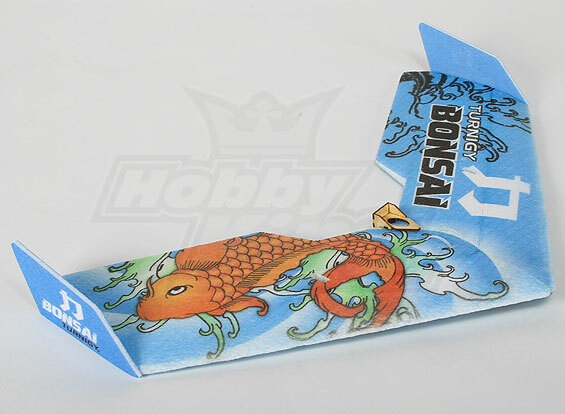 After a bit of research I settled on the Hobbyking Bonsai. Based on others success/recommendations I went with a slightly larger motor, battery and servos than the hobbyking recommendations. Installing the servos actually required enlarging the stock holes. I used an exacto knife to enlarge the holes but kept them ~1/8″ narrower and shorter than the actual servo to ensure a snug fit. I kept the outside and forward edges in the stock location removing material on the inside and back edge. Installing the motor similarly required drilling fresh holes as the stock ones were not correctly spaced. Flite test recommends smearing shoe glue onto the leading edge to make it a bit more robust which I have done. I went with a pretty thin layer that extends back ~1/2″ to 3/4″.